Reflect on the following questions. As you do, think about the extent you struggle with doubt. Think about how there are some believers who would answer these questions very differently than you do. And think about whether you understand doubt, and can talk about it Christianly in terms of its relationship to knowledge, faith, and unbelief. “Have you ever felt intellectually embarrassed to admit that you were a Christian? “Do you ever feel somewhat schizophrenic about the relationship of your faith to the rest of your life? Do you find yourself compartmentalizing different aspects so that tensions between them are minimized? “Do you ever think, ‘Those close to me would be shocked if they knew some of the doubts I have about my faith?’ Do you ever scare even yourself with your doubts? “Have you sometimes felt like walking out of a church service because it seemed contrived and empty? “How often do you find yourselves at odds with your surroundings—intellectually, socially, spiritually? Is there part of you which feels out of place no matter where you are? “Someone at work says, ‘Christians check their brains at the door of the church every Sunday, and most of them don’t bother to pick them up on the way out.’ Do you find yourself objecting or agreeing? “Someone at church says, ‘The humanists are destroying our country. We have got to elect Christian politicians and get this country back to God like it used to be.’ Are you more likely to say ‘Amen’ or ‘Baloney’—or to grunt and change the subject? “Do you personally find a high degree of paradox in matters of faith, or does it seem primarily reasonable and logical? “How confident are you that you know God’s desires regarding the specific political, social, and moral issues which face our society? “Would it bother you more to be thought a hypocrite or a cynic? Why? 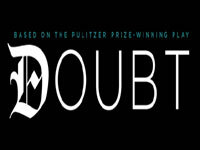 Just about everything about doubt is unsettling. It’s unsettling to doubt, especially if the stakes are high and if we find ourselves doubting when everyone else seems content. It’s unsettling to discover that sometimes our very best reasoning isn’t sufficient to resolve our doubts, or that the search for answers simply increases our uncertainty. It’s unsettling to meet Christians who never seem to doubt, and who are unsettled instead by the fact we doubt things they consider settled. And it’s unsettling when non-Christian friends hesitate to believe, and raise an endless stream of doubts instead. Without doubt, doubt and its relationship to faith, knowledge, and unbelief is worth some careful reflection by the discerning Christian. Understanding doubt is important not only for our own faith, but also if we expect to help others come to faith and resolve their doubts biblically. *Some of the names in this question were changed for this article. 1. To what extent do you relate to the questions in the above list? How would you characterize yourself in terms of doubt? 2. 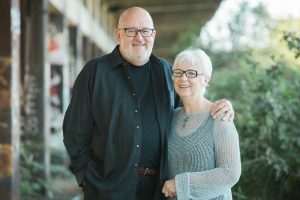 “The world of Christian is not a fairy-tale, make-believe world, question-free and problem-proof, but a world where doubt is never far from faith’s shoulder,” Os Guinness writes. “If we constantly doubt what we believe and always believe-yet-doubt, we will be in danger of undermining our personal integrity, if not our stability. But if ours is an examined faith, we should be unafraid to doubt. If doubt is eventually justified, we were believing what clearly was not worth believing. But if doubt is answered, our faith has grown stronger still. It knows God more certainly and it can enjoy God more deeply. Obviously, then, each one of us should understand doubt for God’s sake and for ours.” How do you respond to this? 3. Do you feel comfortable sharing your doubts within your Christian community? Why or why not? Since the Christian community should be a place which warmly welcomes doubters, providing a safe place to search for answers to honest questions, what is the problem? What can we do to help our Christian community be a safe haven for doubters? 4. How would you define doubt? How would you define its relationship to faith? To knowledge? To unbelief? Can you define them in terms an unbeliever can relate to? To what extent do you understand doubt? What plans should you make? Recommended reading: God in the Dark: The Assurance of Faith Beyond a Shadow of Doubt by Os Guinness (Westchester, IL: Crossway Books; 1996) 224 pp. Guinness from In Two Minds: The Dilemma of Doubt and How to Resolve It by Os Guinness (Downers Grove, IL: InterVarsity Press; 1976) p. 15-16. Questions adapted from The Myth of Certainty: The Reflective Christian and the Risk of Commitment by Daniel Taylor (Downers Grove, IL: InterVarsity Press; 1986, 1992) p. 14-15.